Watch full Naruto Shippuden Season 18 Episode 21 English Dubbed full HD online. Naruto Shippuden Episode 393 English Dubbed online for free in HD. Shukaku stops Susanoo’s Sword but Madara sends it towards Gaara who is saved by his sand, which leads Shukaku to tell him not to overdo it but Gaara continues to fight declaring he is now the One-Tail’s equal. The tailed beasts are then dragged into the Gedo Statue, Killer Bee severing one of Gyuki’s tentacles while Kurama ejects Naruto after telling Gaara to catch the unconscious youth. After the tailed beasts have been sealed into the Gedo Statue, White Zetsu reports that preparations are done at their end, Madara faces Tobirama as Gaara flies Naruto away from the fight. 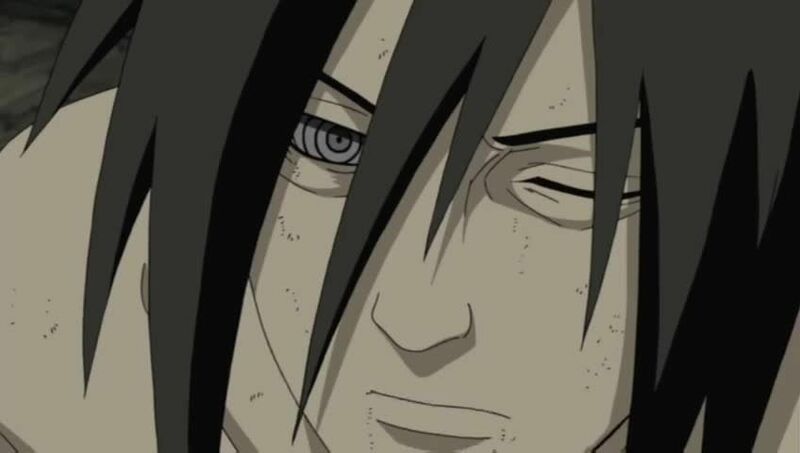 As Madara overpowers Tobirama, Sasuke prepares to join the fray after Hashirama infuses a bit of his chakra in the young Uchiha along with a “technique” to counter Madara’s Sage chakra. Though Sasuke attempts his attack with Tobirama providing a distraction, the young Uchiha finds himself suspended in midair before Madara impales him. Elsewhere, Tobi Zetsu appears to assault the Shinobi Alliance using a small version of Hashirama’s Wood Style: Several Thousand Hands with Hiruzen fending off the attack. Meanwhile, Orochimaru and Taka take cover to plan a surprise attack while Karin bursts into tears after sensing Sasuke’s predicament. At the same time, Gaara brings Naruto to Tsunade with Sakura attempting to keep Naruto alive. However, Tobi Zetsu and White Zetsu reveal that Naruto is on the verge of death since Kurama was extracted from him. As grief overtakes both Sakura and Karin, the two realize that Naruto and Sasuke will both die if things continue like this.